I am starting up a new column on my blog. 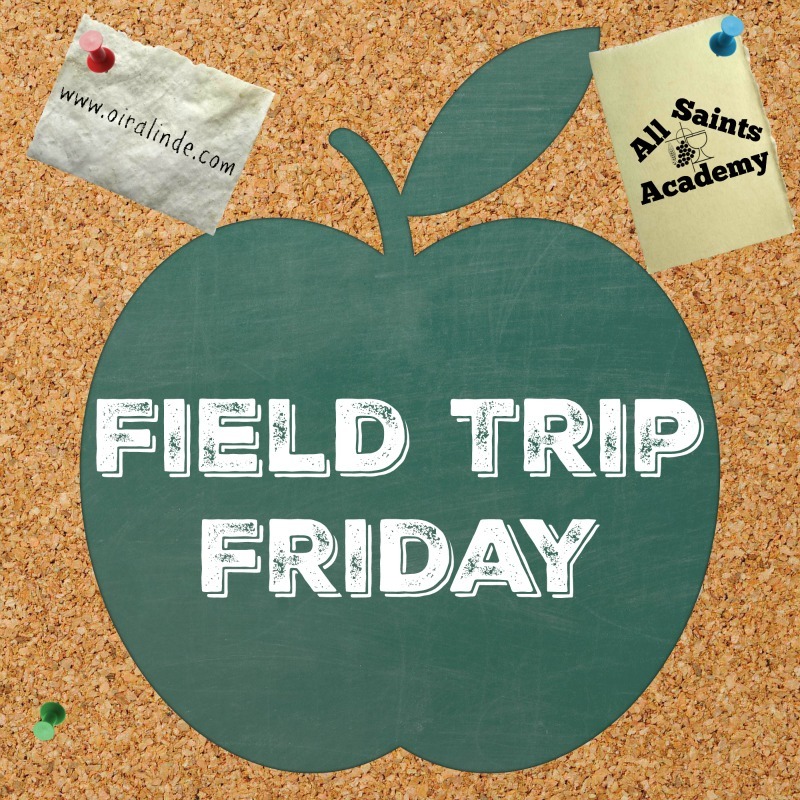 Field Trip Fridays! Whenever we go on a field trip, I will try to share our pictures and experiences with you. Today I want to share with you a fun field trip we went on this past week. 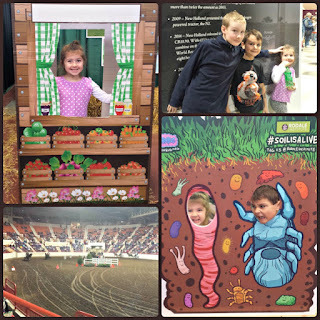 Every year we go to our state's farm show in January since it is such a close distance to us. This year it is celebrating 100 years running! It was free to get in, but it did cost $15 to park... plus all the food we ate; milkshakes, fried veggies, soda, honey ice cream, maple cotton candy (just a sample- so it was free! ), pizza... I think I ended up spending $50 on the day, which was $20 over my initial budget. At the farm show, they have stations for kids to learn different aspects of farming in the state. We learned about hydroponics, cover crops, winter vegetables, worms, state parks, invasive species, and so much more I can't remember. We also saw livestock like cows, horses, goats, alpacas, and so many rabbits. The most exciting part was we stayed for the horse carriage races. Miles got into the clapping and hollering and enjoyed seeing the horses run fast! The horse race was one of the best parts, as was all the food. Kaelyn and Miles both enjoyed the shuttle because it was a school bus. Oh, the things kids miss out on when they stay home for their education. Sebastian, on the other hand, hated the bus experience because it jostled him around and he kept almost falling out of his seat. It is incredibly busy. INCREDIBLY busy. As in, I haven't been at Disney and seen it as busy as it was in the farm show. I was nervous about loosing a child, but luckily I cam with a friend with older kids, so they helped make sure we didn't lose anyone. We all had headaches at the end of the day because we are all introverts. Even my almost-extrovert daughter had enough and needed to go home. Lol. Yes. Even though it was crazy busy, we would do this again. It is an annual tradition! The biggest mistake we made is that we got there at 9:30. I like to get there early before the crowds show up and get most of our education done so that we can go home early. Perhaps I will remember that for next year. Most likely not.